I’m prepping for a North Texas RPG Convention session, an Advanced Dungeons & Dragons adventure I’m going to run in June, in which the characters should be from levels four through six. I wanted to create these characters completely randomly; the adventure is an old-school adventure designed for old-school characters. This means a random variety of abilities and levels. However, reading over the adventure I wasn’t sure if perhaps I might want to make the characters level 5 to 7 instead. This would make the calculation 22,500 plus d100,000 times .375. Since I still had all of the d100,000 rolls, I first just pulled out my trusty Tandy PC-73 and wrote a quick BASIC program to handle the calculations. Since 10% is easy to add mentally, it was faster to handle that calculation on my own instead of adding another line of code to ask whether the character merited the bonus. It worked well enough that I decided to keep track of the d100,000 rolls in a text file. The stars mean that the character merits an experience-point bonus. For the Elven Fighter/Magic-User, that character merits an experience-point bonus as a Magic-User but not as a Fighter. Once I realized that this would make it easy to parse the text file programmatically, I wrote a command-line program to do the same thing in the future that I’d done individually with the programmable calculator, without having to enter the rolls each time. As usually happens when I write a program to make a particular task easier, I start thinking of other ways to make the task easier; so I added a function to calculate the experience point range as well. It’s a fairly basic calculation except for three classes: the Monk, Assassin, and Druid are all level-limited classes. They can’t go up in level once they hit the top of their “profession”. They required a special case in the code. This change means I can create new ranges just by running the program instead of eyeballing throughout the Players Handbook. Use --explain to get just the ranges instead of running the calculations on a list of characters. Fighter, Monk, Ranger, Druid, Assassin, Cleric, Magic-User, Thief, Illusionist, Paladin. Random experience will be 98,000 + d100,000 times 1.02. You may find it useful, when you’re limiting the classes, to remember the base and factor, and use those on the command-line, instead of always remembering to exclude/include the correct classes. Using base 98,000 and factor 1.02. The larger code also supports any number of multi-classes instead of just two. One customization you might wish to make is to adjust the die roll for experience. My choice was a d100,000, that I roll using five ten-siders.7 You can modify the line “$dieRoll = 100000;” to anything you want; if you’re a fan of 30-siders, make it “$dieRoll = 30;” or if you’re a fan of six-siders, make it “$dieRoll = 6;”. Just remember that that’s the number of discrete experience-point totals the characters will have. If you roll a d6, for example, there will be six discrete experience-point totals spread evenly across the range of experience chosen, with a potential ten percent variation for high stats. It occurs to me that one thing the code does not do is roll the dice. 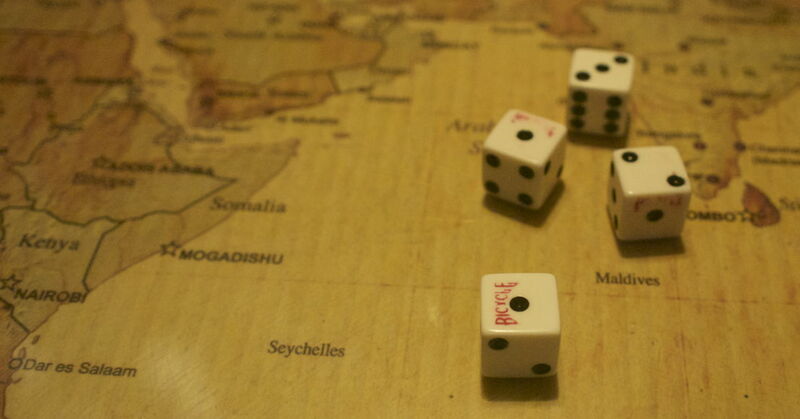 I always prefer to roll dice by hand and record the results. It just doesn’t seem right to do otherwise. This ignores Paladins, since in my original list of characters, I wanted a Ranger instead of a Paladin. But when I rolled a perfect Paladin, I changed my mind. This technically meant that some characters could exceed the stated level limit. Merit has its advantages! The PC-7 was a rebadged Casio FX-5200P from 1986. The PC-7 is mostly useful only for simple, on-the-fly repetitive calculations. Because it has no means to save programs outside of itself, and it loses its memory every time you replace the batteries, you would never want to write complex programs using it. Perl is available by default on Mac OS X, and on most flavors of Linux. This explained an anomaly in the calculations: under the new experience-point range, the Dwarf did not go up in level; that’s because I gave him a bonus in the initial 4-6 calculations but (correctly) did not in the later 5-7 calculations. Always pay attention to anomalies when programming! Well, one ten-sider five times in a row. Determine experience point range that corresponds to a level range; and run calculations on a random roll to convert that roll into an experience point total. Rolling random levels across a range of experience points in AD&D last modified June 16th, 2018.